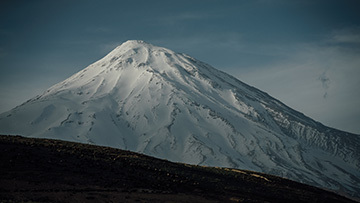 “We” means two Patrouillen, each with three members – one a women’s team and one men, one Patrouille team (“patrol” in English) with pro ski mountaineers, one with ambitious recreational athletes. One is battling for a spot on the podium; for the others, it’s all about finishing. What then does the PDG mean to each one of us? The toughest team competition in the world! One thing is certain, the Patrouille des Glaciers, in short, PDG, is something very special. 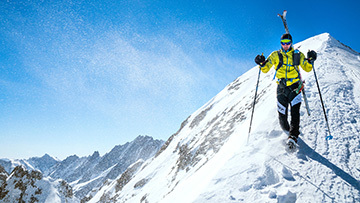 For ambitious ski mountaineers it is nearly expected that you will have participated once in your life. The course follows the world renown “Haute Route” from Zermatt to Verbier over 53 kilometers (33 miles) and 4,000 meters of vert (13,123 feet). The race’s distance, the high Alpine terrain, as well as the historic background contributes significantly to the legend of PDG. The PDG took place for the first time in 1943 as a performance race for Swiss military patrols. In 1949, there was an unfortunate fatality during the race which prompted the Swiss Department of Military to forbid further races. Nevertheless, the PDG was never totally forgotten. Unofficially, the legend was continued in the valleys of the canton of Lower Valais for more than 30 years until it finally was time – the reinstatement of the PDG was perfect. Since then no ski mountaineer’s race calendar can be without this event. 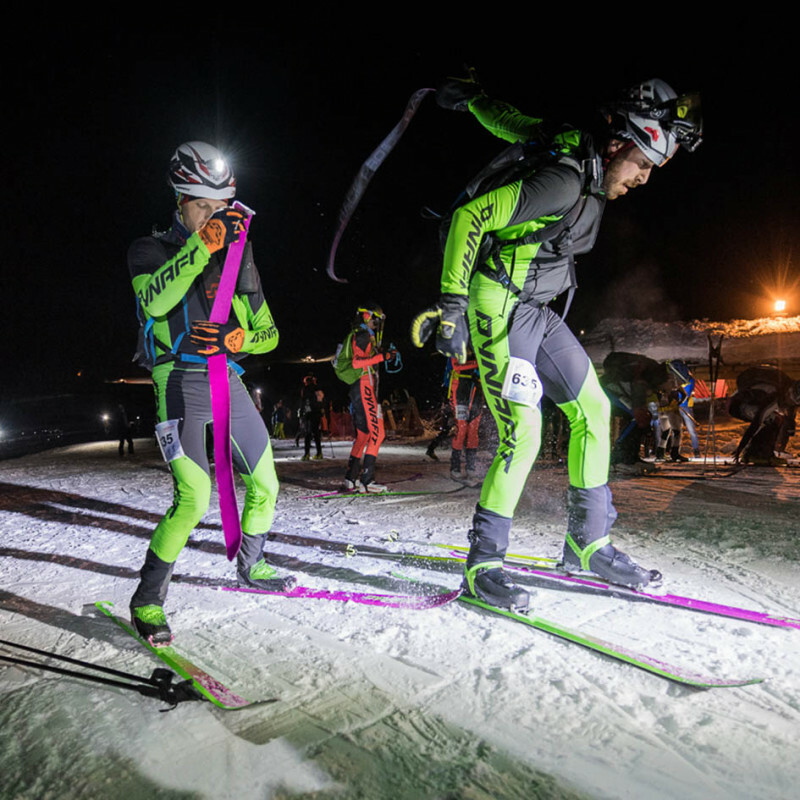 Every two years, the best athletes match up with each other on the course from Zermatt to Verbier. So what in fact moved us to take part in the PDG 2018? After this, there are no more limits! "Two years ago, I attended to support another racer. The race was unfortunately canceled, but even then, I knew that I wanted to be a part this year. 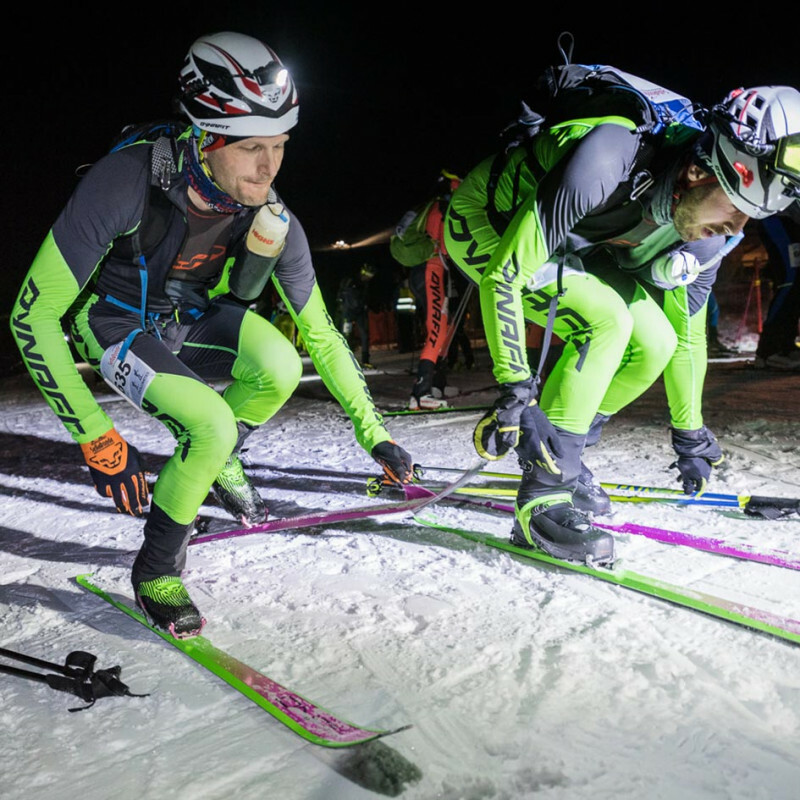 The PDG is a MUST-DO for every ski mountaineer, and I am really looking forward to the challenge. The real challenge lies in the length and the vert of the race. We will train a lot for that. We want to get through it injury free, give our best, and then we’ll see afterward what happens!" The start is in the middle of the night! Get ready, get set, go.… A crowd of athletes storms across the starting line and in just a few meters disappears into the darkness. What plays out in these few seconds and what it feels like we can only guess. Because for us, it will be the first time. The first time at PDG. 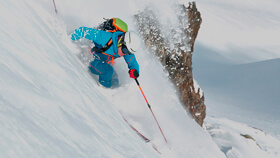 "I believe the PDG is the dream of every alpinist! It is one of the oldest and biggest races in one of the most beautiful regions, and also a team competition – which for me makes it even more attractive. All of these reasons add up to my motivation to tackle this long and certainly difficult course. I am looking forward to seeing where the military took on this course back in 1943, with the gear back then and during the war even. 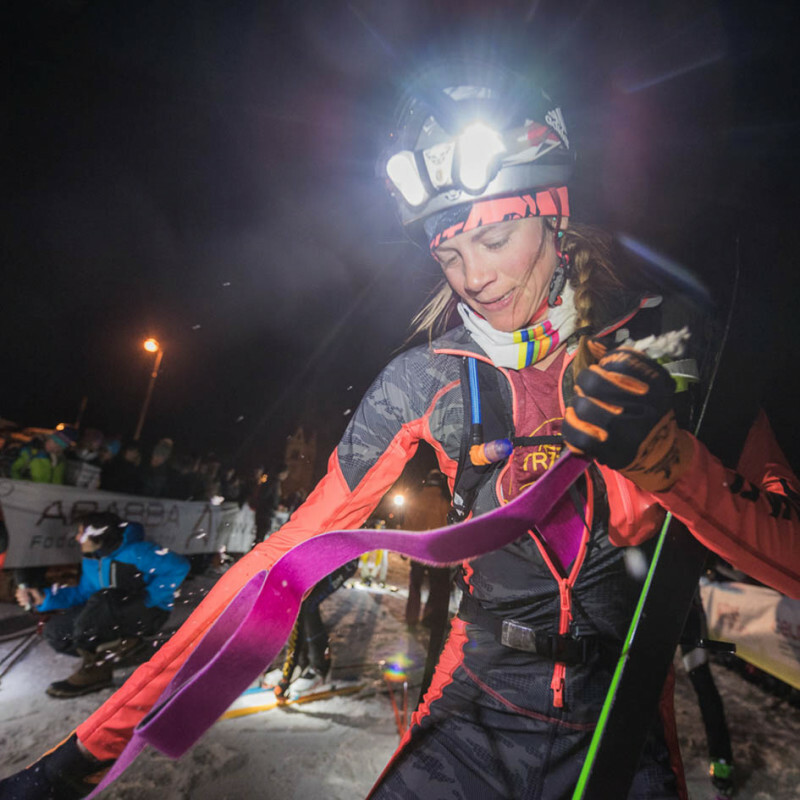 Although we three – Johanna, Malene and I – will start with the elite teams, we see the PDG more as a mutual challenge than as a competitive battle for the fastest time. 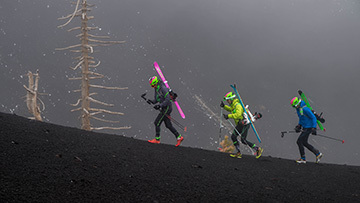 A race in the Alpine high mountains must not be underestimated. You have to pay attention to each other and support each other. That’s why I look forward the most to conquering the course itself, to the team spirit, the scenery, and all the challenges we will confront." Length and the quantity of vertical meters at first were for me unimaginable.